Design of the civil engineering components of the gas plant, and their export from 12d Model and import into PDMS. PDMS is a popular plant design software product that enables users to design a 3D computer model of a process plant. All information in PDMS is stored in databases, allowing multiple users in multiple disciplines to work with a single source of engineering data at the same time. Every change in PDMS is reflected and available to other users, enabling the identification of cross-discipline clashes. PDMS does not support civil engineering components such as road design and works. PDMS does not have a specific type of element to represent a TIN surface. This prevents other disciplines from checking clashes, sufficient cover and clearances to the design ground level and/or roads. 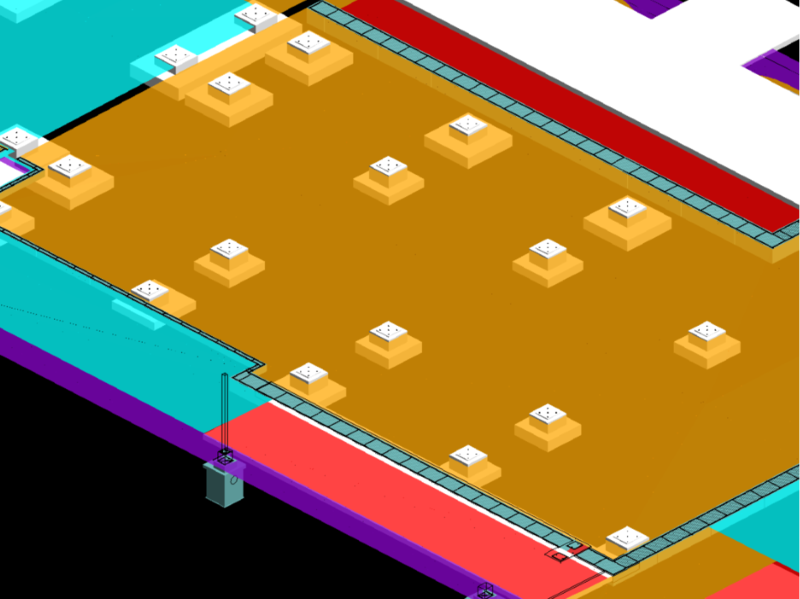 Civil design surfaces can be exported to PDMS but the process takes time, requiring additional work in CAD prior to the import to PDMS. This does not support the ability to quickly and efficiently redesign civil engineering elements and make them available in PDMS for other disciplines to access. A macro was developed that automated the work flow to shorten the turnaround required for civil element updates in PDMS. It also reduced the amount of manual CAD editing required, reducing the incidence of error encountered when executing manual modification. It allowed 12d users to fully utilise 12d Model’s flexibility without having to export to other software for editing. The macro can be used on any PDMS project by modifying mapping files. The flexibility of 12d Model and the ability to create custom macros streamlined an existing process that did not support the efficient and accurate redesign of civil engineering elements, if and when necessary. Civil engineering surfaces can now easily be exported between 12d Model and PDMS, providing other disciplines with the latest information to complete their mission critical design elements.